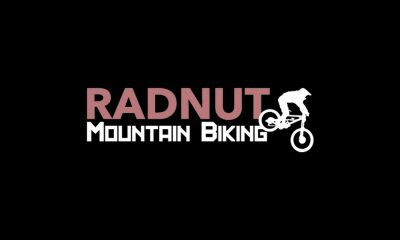 In this article we address finding a new mountain bike for your kid(s) without breaking the bank (keeping it under $500). In our search we found there are a surprising number of great options around for under $500, with a range of considerations for child – specific design. 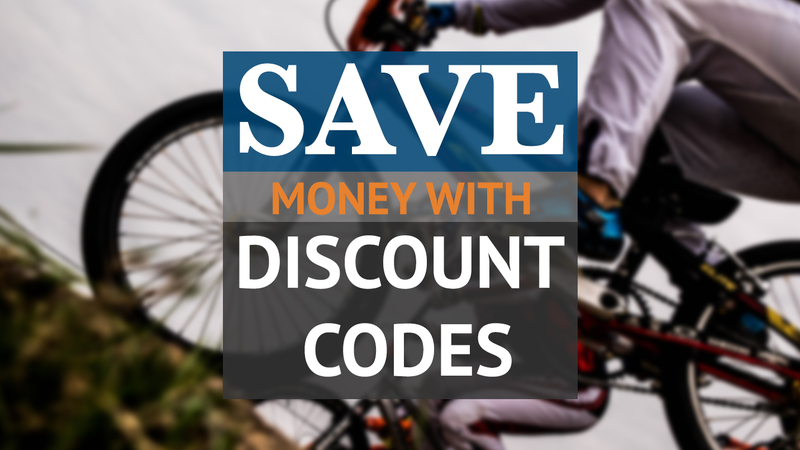 The bikes listed below balance solid modern design with low prices, making them perfect for parents who are on a budget but want their kids to have a good introduction to mountain biking. 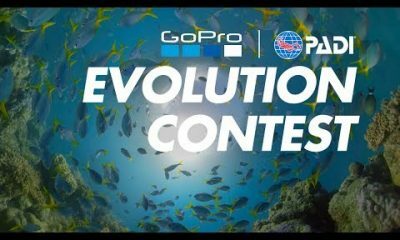 We’ve looked at products with quite a wide range of prices, so if your budget is a little less than 500$ then there should still be something here for you. 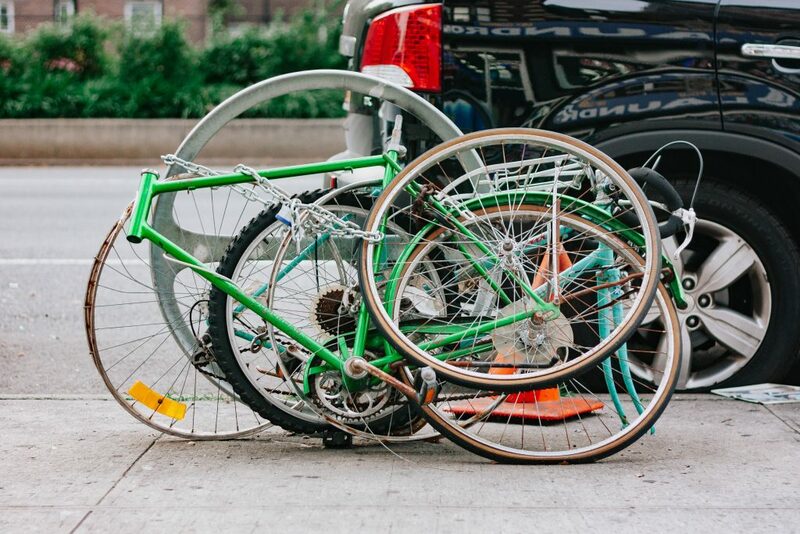 We are aware that children grow with time – and so shelling out on a smaller bike (which they may quickly grow out of) might not be something that you want to do. With this in mind we’ve included some adult’s bikes that work well in size small. If your child is quite large / likely to be too big for most of the bikes on this list then buying one of these bikes for them to grow into would be a good idea. 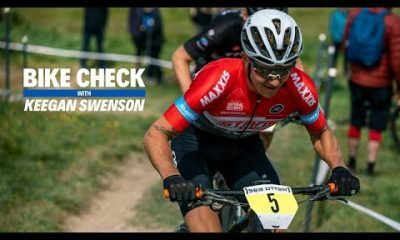 For each of the bikes linked here to chainreaction cycles, there is a very detailled ‘Sizing Chart’ on each page which can be examined. 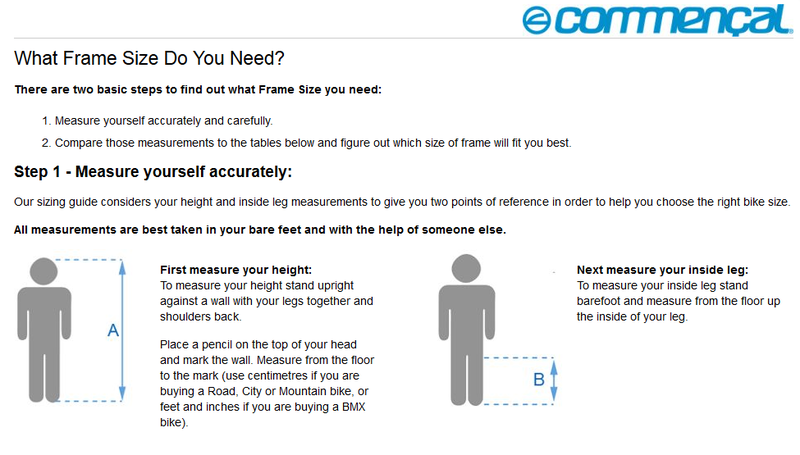 We’ve also included a section of the Commencal sizing guide above – from the measurements taken in that image you should be able to accurately size a bike to your child based on the table in the specification sheet. The Bonaly 26 Disc offers nine different gears to choose from. This bike’s frame is made from the HOY 6066-T6 aluminium heat-treated alloy, making it extremely durable and lightweight. The slightly lower bottom bracket contributes greatly to more secure handling. The bike is designed to be reliable, and long-lasting. The gear shifting is extremely smooth making this bike a good choice for parents who want to build up their children’s confidence. 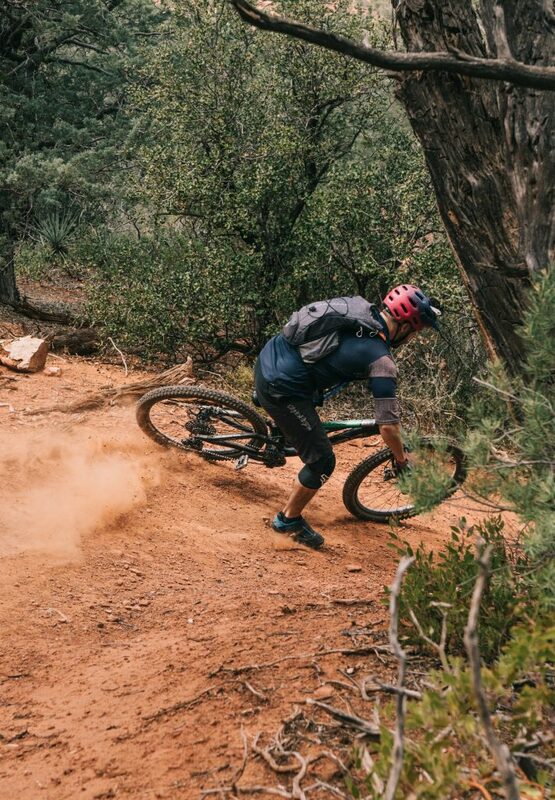 The straight blade aluminium fork on the front maximises power transfer to the drivetrain – the lack of suspension making the bike faster uphill and on flat terrain. EvansCycles made the understandable decision to opt for a more rigid, efficient design both here and in the tyres – which are geared towards lightweight efficiency more than cushioning and grip. 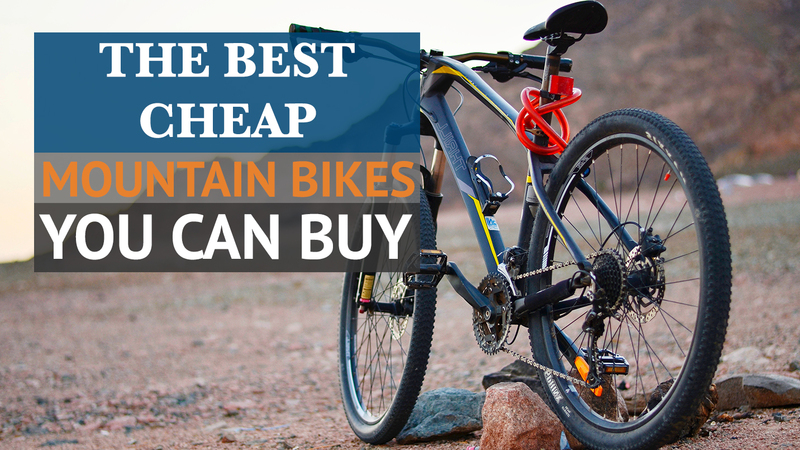 While the tyres that come with this bike aren’t great for handling more rough terrain, you can easily switch them out with better ones from eBay for cheap. 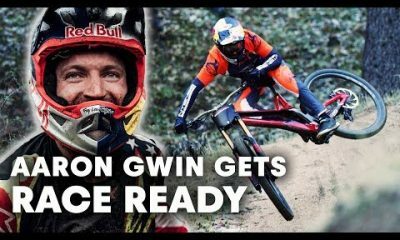 The reality is that most kids in ‘general’ riding won’t need anything more. 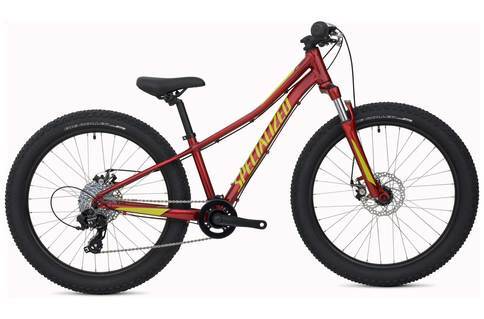 The Riprock 24’s large 24 inch tires provide superior grip and control while riding. 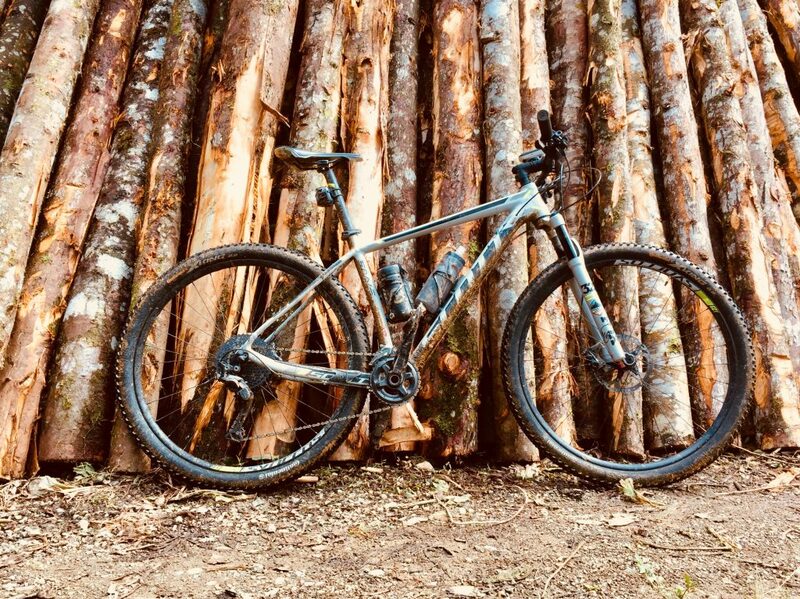 With the highest grade of aluminium frame on this list you should expect years of regular use with minimal wear and tear while riding this bike. 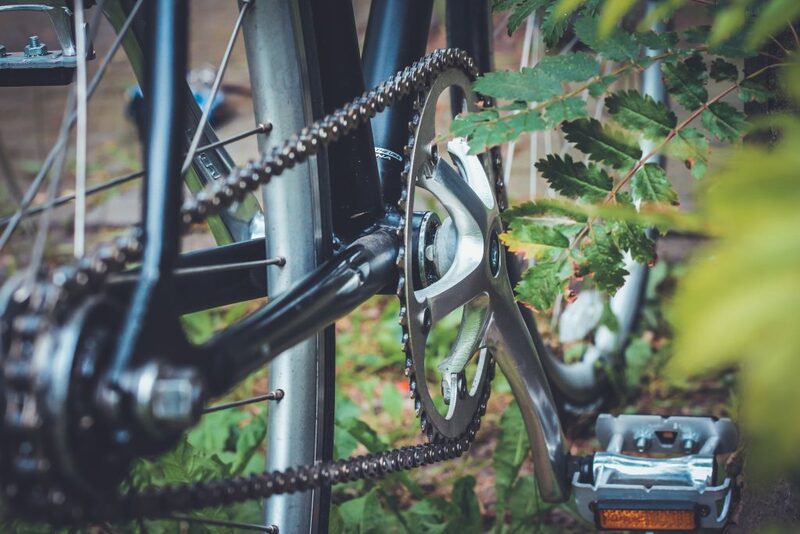 The single chain ring on the front makes the bike far quieter (as there is increased chain tension) over rough terrain. This bike’s extra-large tyres are far superior to the ones on the HOY Bonaly 26” Disc bike, as they are much larger and sturdier. The mechanical disc brakes are very effective and will always allow your child to stop the bike quickly and safely. The overall geometry of the bike is built for comfort and confidence – the lowered top tube allows for a longer lifespan on the bike – as smaller children will be able to get on it while keeping the frontend very high for maximum stability. In terms of aesthetics the seat is a little large, though if this matters another could easily be acquired online. The customer reviews for this bike are overwhelmingly positive. People who review this bike tend to comment on amazing durability and sleek design. The Dawes Zombie is an entry-level bike for kids from 9 to 12. 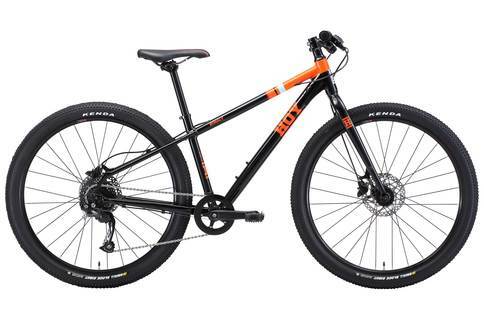 It delivers reliable performance with a tough aluminum alloy frame, Shimano drivetrain, and steel fork. This junior bike is lighter than the other bikes that use steel alloy. As such, kids can maneuver it easily. They will feel less fatigued after biking for long distances. Moreover, because the frame is lightweight, kids will find it easy to increase their biking speed. The bike weighs 11 kilos. The Dawes Zombie uses high-tensile steel that is both durable and lightweight. It is perfect for off-road exploring. Take note, however, that although steel is durable, it may rust over time, especially if the paint is stripped off and it is exposed to the elements. 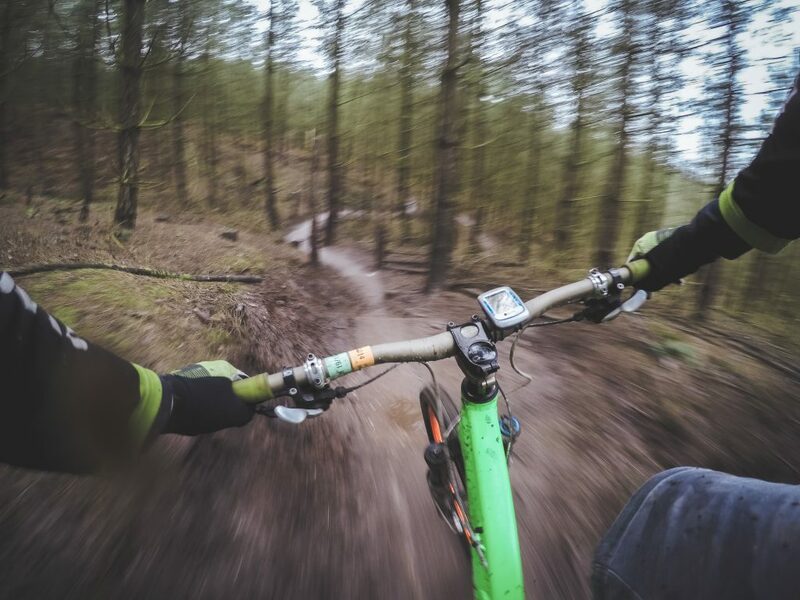 The 1.95-inch tires make the bike suitable for woodland trails while maintaining a relatively low weight and rolling resistance. 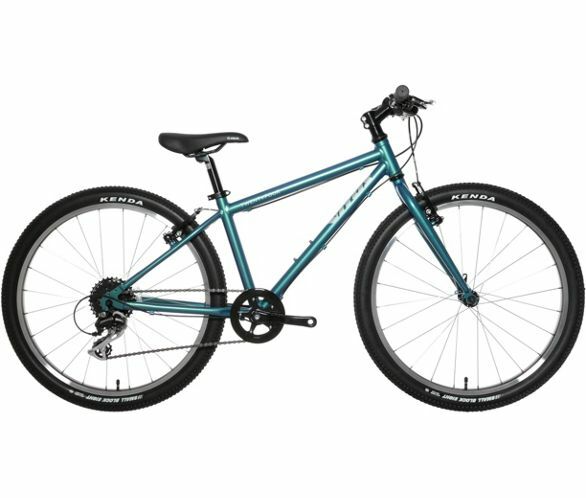 The drivetrain is Shimano 3x6 speed, and the brakes are V-brakes. 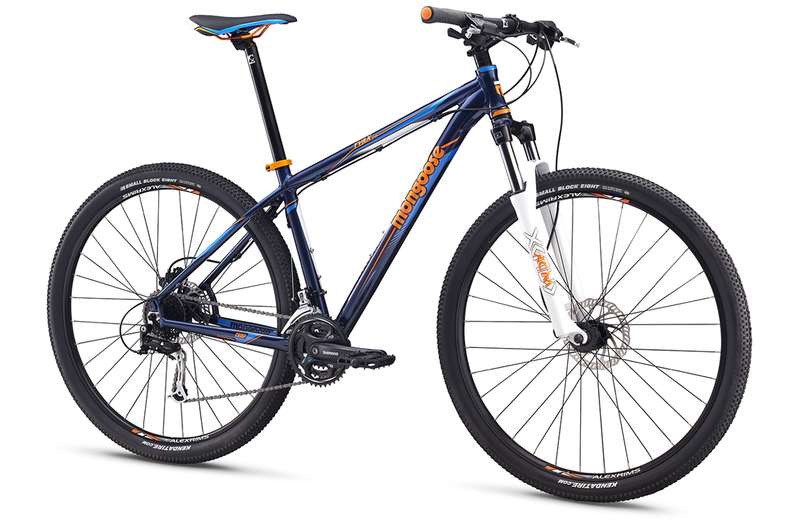 The drivetrain offers a larger gear range than its counterparts, while the V-brakes provide excellent stopping power. Most users say that the Dawes Zombie is an excellent choice as a starting bike for their child. However, many complain about the handle grips coming off, and the V-breaks can break after some time. Neither of these issues is serious however and can be fixed if or when they occur. The Cube Kid is an excellent choice for a starting bike for growing kids, aged 7 to 10 years old. It is midway between a child’s bike and an adult’s mountain bike. 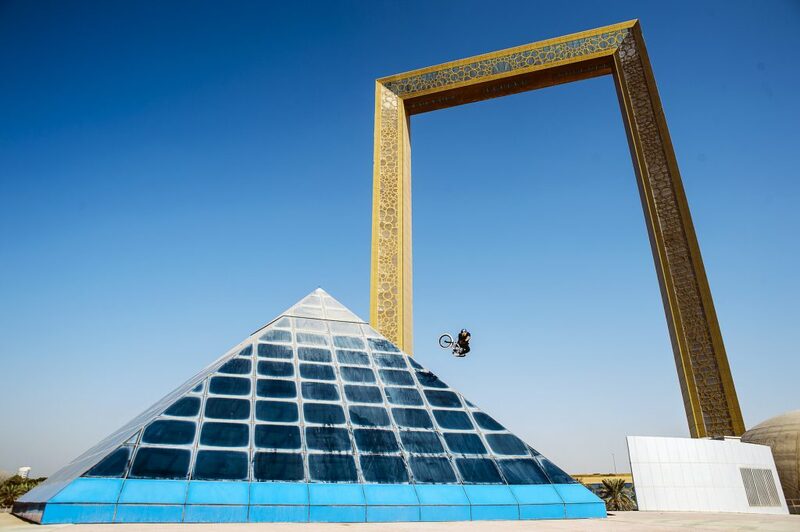 The frame is 6061 aluminum, which is a durable frame material for mountain bikes. It features a low top tube that allows kids to get on and off the bike faster. 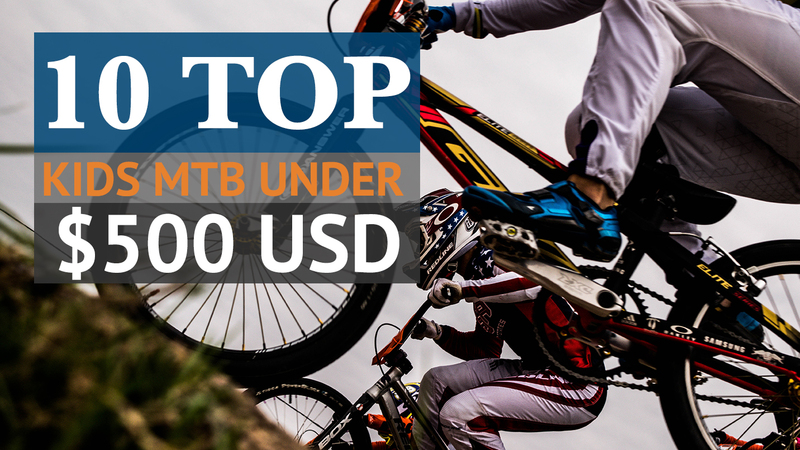 Kids are known to always to test their limits when it comes to their performance on the bike. As such, the derailleur can take a hit during their rides. The derailleur hanger absorbs the impact and can get bent or damaged. Fortunately, the derailleur hanger can easily be replaced. This bike weighs 11.1 kilos. 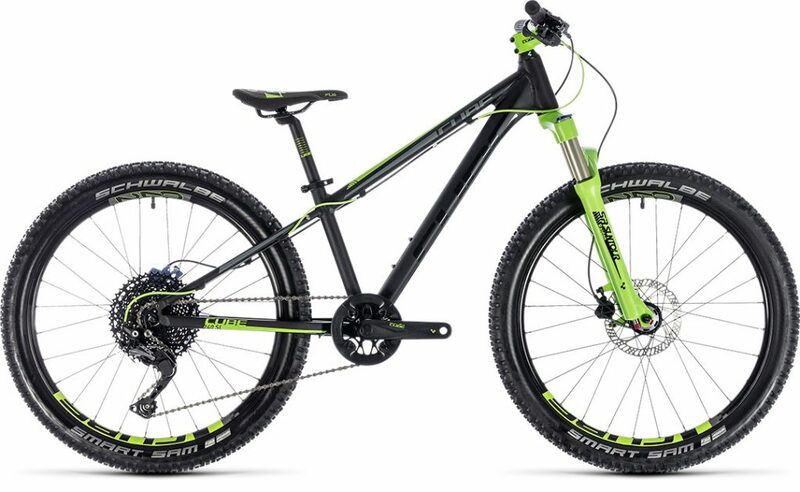 The Cube Kid 240 uses a Suntour suspension fork. Suntour is a trusted brand by bicycle manufacturers. Any kid who uses this bike will feel comfortable because the suspension for absorbs the impact of rough terrain. 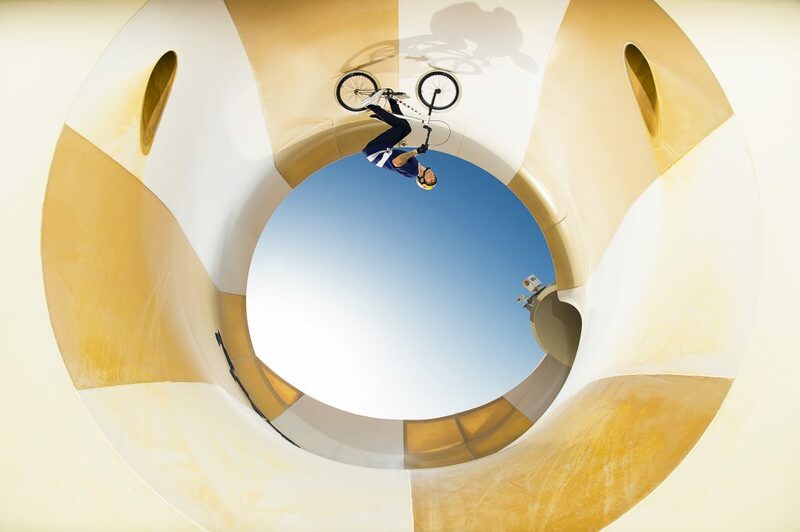 The Cube features Impac Smartpac tires. Its low profile tread pattern provides low resistance and fast rolling. The brake levers suit small hands, so your kid has better control of the V-brakes, which provide plenty of power for stopping. The Cube Kid has a power modulator to avoid over-enthusiastic braking in front. Most users feel satisfied in buying the Cube Kid for their child. However, some users complained about the unsealed bottom bracket and the cheap pedals. 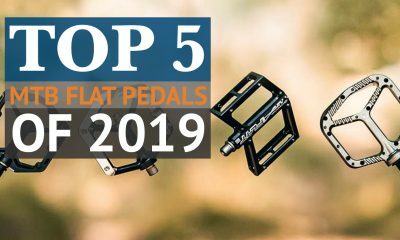 These can be easily replaced though with a sealed BB and better pedals. The low-end air fork is adjustable. You can replace it with a high-quality one down the line. If you are looking for a safe and reliable entry-level bike for your child, you can buy the Kona Makena bike. For the Kona Makena, it features a butted frame made out of 6061 aluminum alloy. This means that the lightweight frame, with reinforced aluminum at the joints, ensures a comfortable, yet safe ride, even on rough terrains. The Kona kids’ bike has a Chromoly steel fork. Chromoly, which is chromium-molybdenum, is more robust than ordinary steel; thus, manufacturers use it for high-end bicycle frames. Most manufacturers generally prefer Chromoly steel because it uses less steel for the same tensile strength, leading to a lighter product. The tires are Kenda Kwick 2.0 x 2.0”. These streamlined tires wear out quickly but are extremely inexpensive, so replacing the tires won’t cost much. This bike uses V-brakes, Shimano Tourney at its rear end, and a 7-speed cassette for smooth gear shifting. Most users like the Kona Makena for their kids. Some of them replaced the pedals because they notice that their kid’s feet slip off from the original plastic ones. 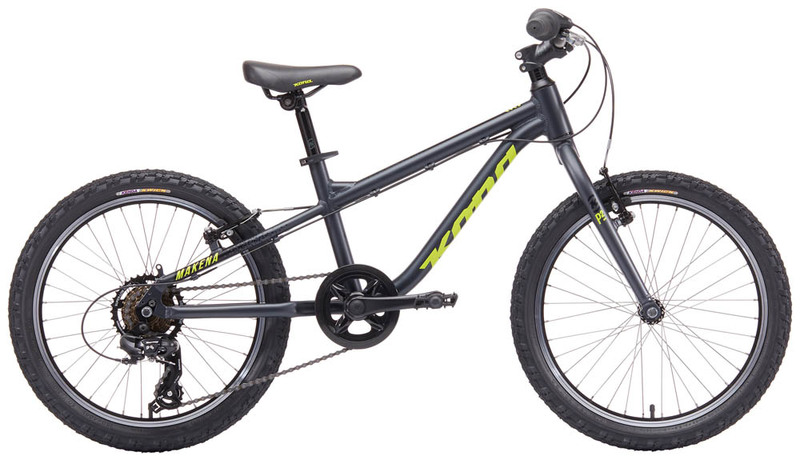 The Vitus Twentyfour is lightweight so your little kid can maneuver it with confidence. This bike has a 6061 lightweight aluminum alloy frame. Aside from aluminum, it contains magnesium and silicon, which is superior to the 7005 aluminum alloy. This Vitus bike weighs 10.2 kilos only. 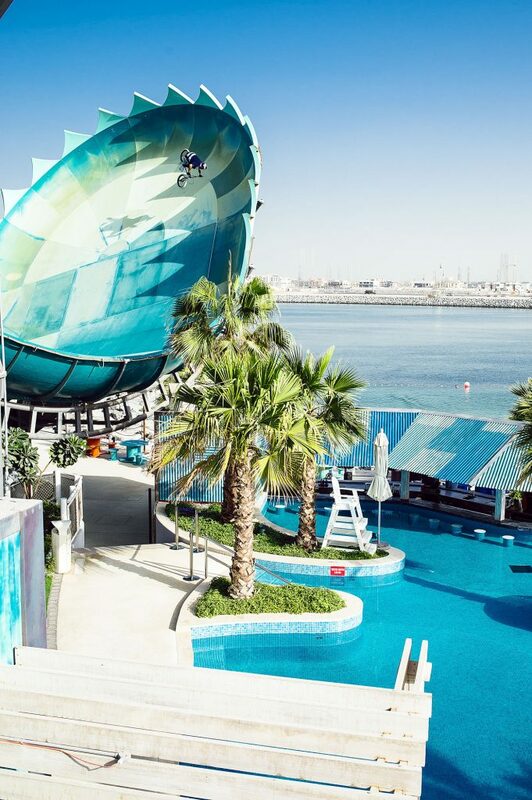 While it was built for kids aged 5 to 8 years of age, it may be lightweight for kids aged 7 and above, but a bit heavy for kids aged below 8 years old. The rigid fork is traditional and uncomplicated. 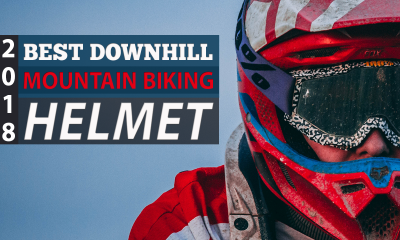 It does not require maintenance and repairs, unlike many suspension forks would. Also, it is lighter than using a suspension fork and allows for a more efficient transfer of power to the drivetrain. This bike also uses Kenda tires, which are inexpensive. So, if you want more durable tires than the Kenda tires, you can replace them as soon as they wear out. The Shimano 8-speed drivetrain makes it easy to change gears. 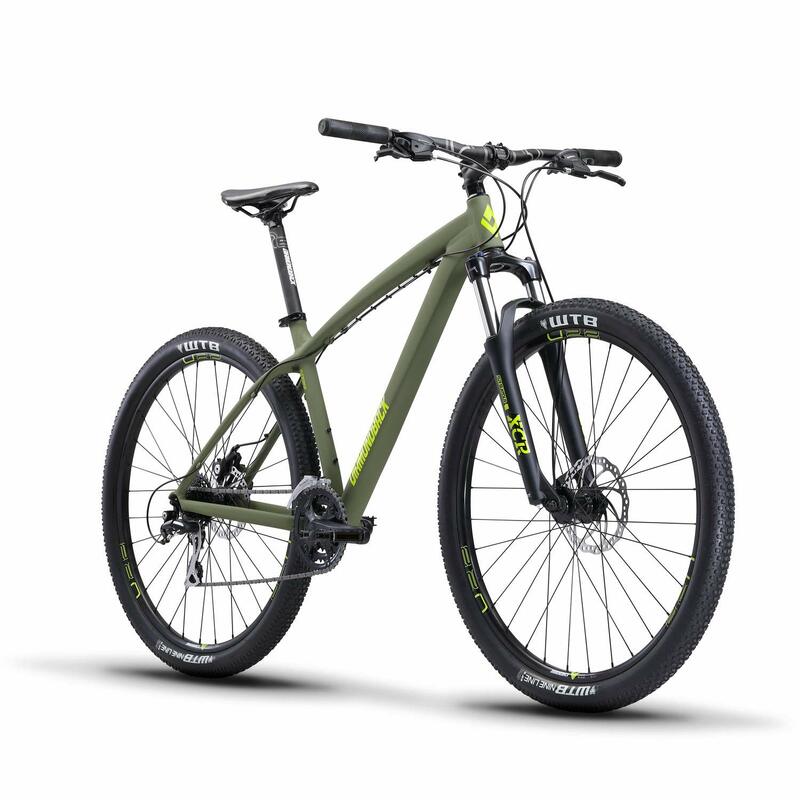 The Vitus bike has the Acera rear derailleur and Tektro V-brakes for easy to maintain reliable braking. Most users state that this is a great starter bike for kids, but it would be great if it were made lighter. Some also added that the matte-finish scratches off easily. 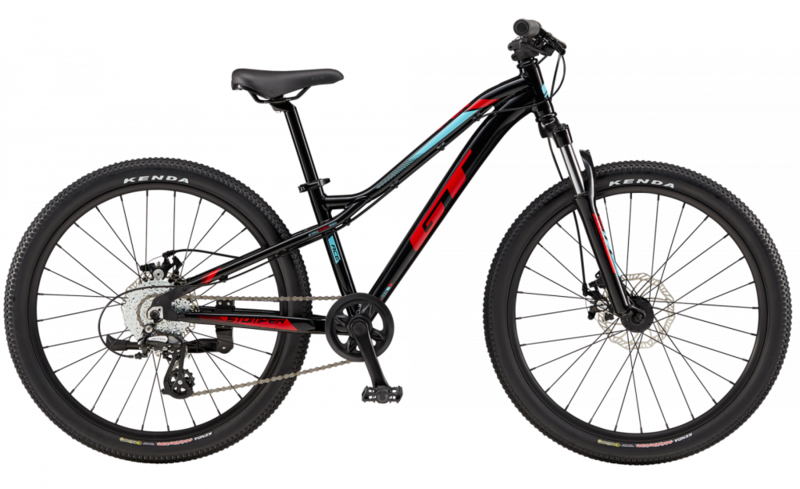 GT’s Stomper Ace 24” is perfect as an entry-level bike for your child. It has the LegFit system that ensures an ideal fit for smaller bodies. Meaning, that it is not just a tweak of the adult model. The Stomper Ace has its pedals slightly further forward and its crankset marginally narrower to better suit the physical dimensions of young children. Your child will pedal more naturally because of these changes. Plus, the alloy frame is lightweight. 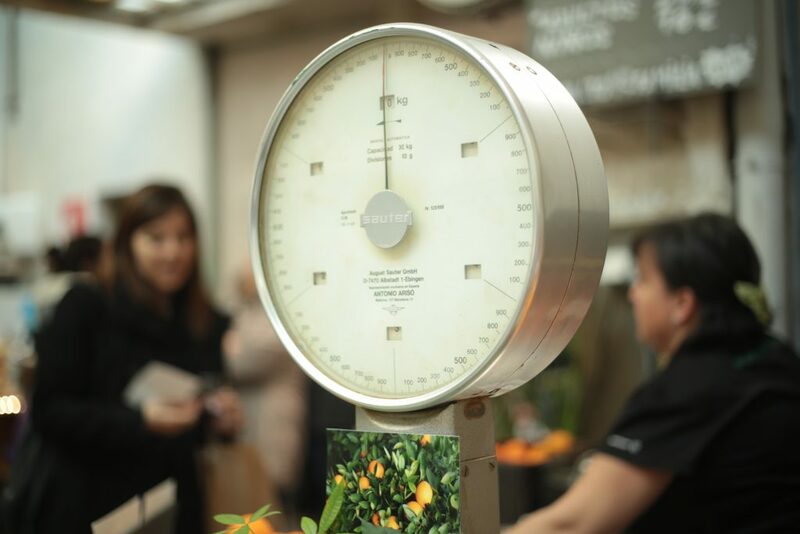 The Stomper Ace weighs 11.8 kilos. The fork is an All Terra, 1-1/8” Threadless Steerer with 50mm Travel. There is not much difference between the threaded and threadless for the user. 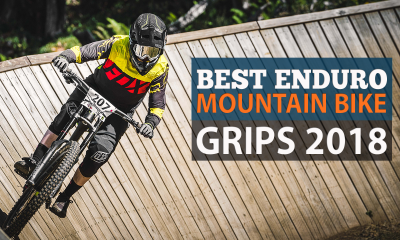 However, for manufacturers, threadless steerer tubes are less expensive to produce and install, meaning that the choice made by GT is a durability-oriented one. Stomper Ace tires are Kenda Small Block Eight 24 by 2.10”. 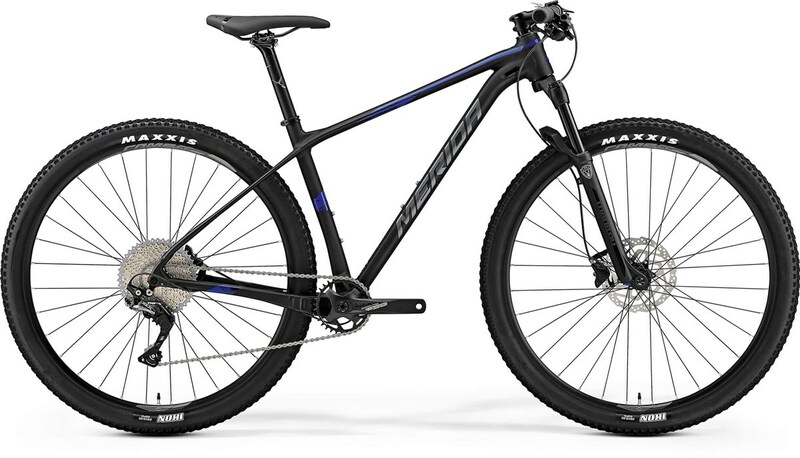 The 24” tires roll on various trails smoothly and easily, which make it perfect for mountain biking. 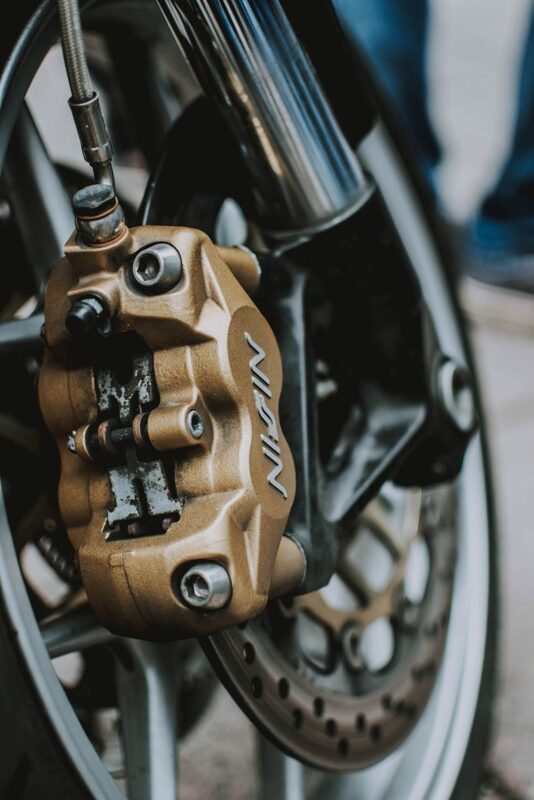 The bike has Promax cable actuated disc, which provides incredible stopping power. The kid does not need to apply a massive force to the lever to make the bike stop. 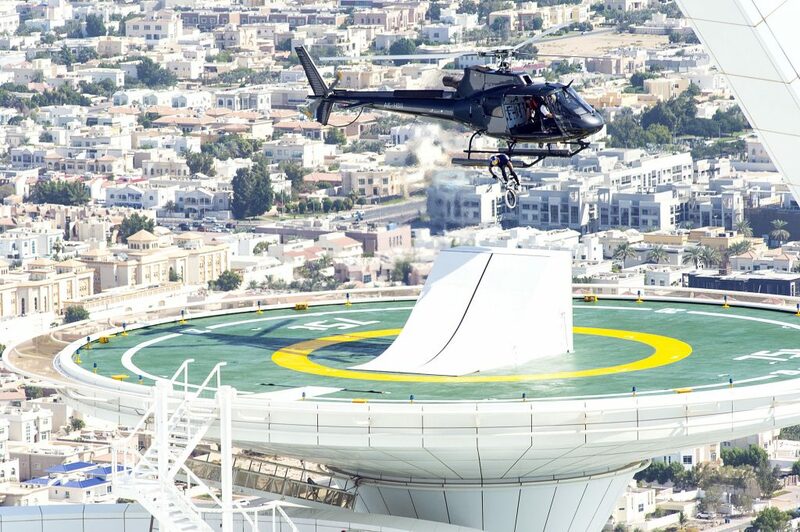 Thus, he does not experience muscle fatigue because he exerts less hand pressure, especially during a long descent. 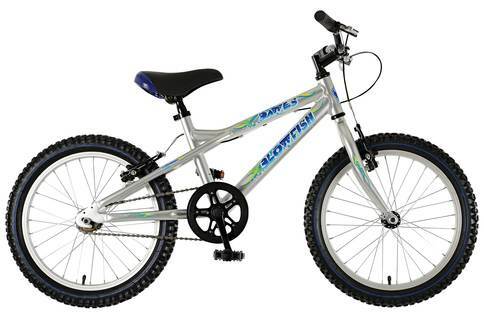 Most buyers report that their kids are happy with this bike and are also pleased because this bike is inexpensive. Still, some buyers upgraded some parts such as replacing the pedals for a better grip and swapping out the front tire for another brand. 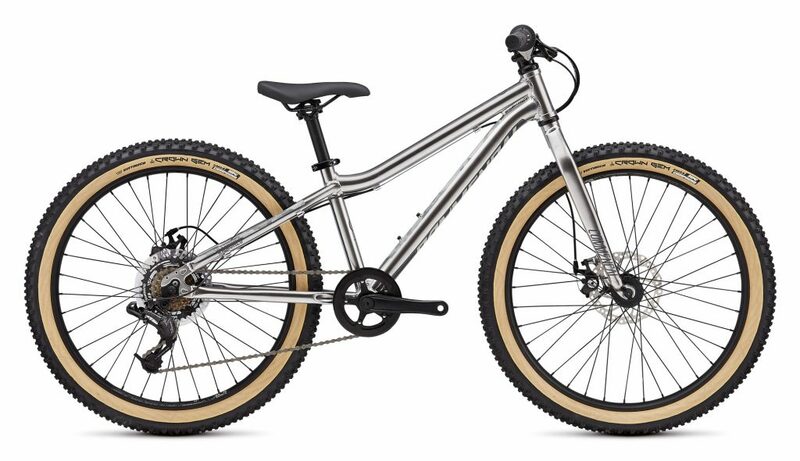 The Commencal Ramones 24 features all the design considerations of an adult bike, built and styled for kids. 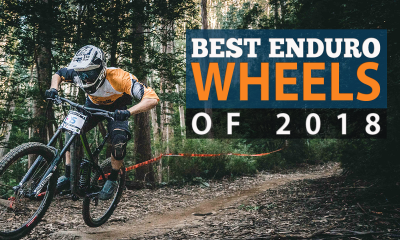 The frame is constructed from the same 6061 aluminum alloy that can be seen on many of the bikes on this list (a popular choice for good reason), but with the highest quality finish that we’ve seen. The bike itself comes in quite light at 10.5kg, with a traditional rigid fork, which is popular as it does not need maintenance and repair. The tires are Kenda Slant 6 24 x 2.6”. The plus size acting as an effective form of suspension and are excellent for rough, dry terrain. 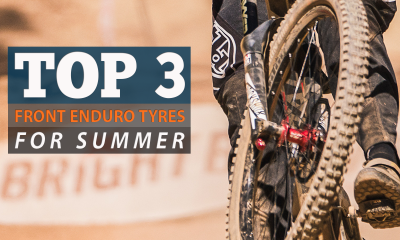 The tread is quite shallow, giving a fast rolling speed but lesser performance for wet roots and damp ground – if you live in an area where this is likely to be an issue we would recommend you change out the front tyre for something a little more aggressive. The Ramones 24 features mechanical disc brakes that have kids’ specific Jagwire cables and Tektro levers that can easily tackle small descents. These brakes have small rotors, so they are not very powerful. The Ramones 24 is a fantastic entry-level bike for kids and one of the best kids – specific bikes on this list. 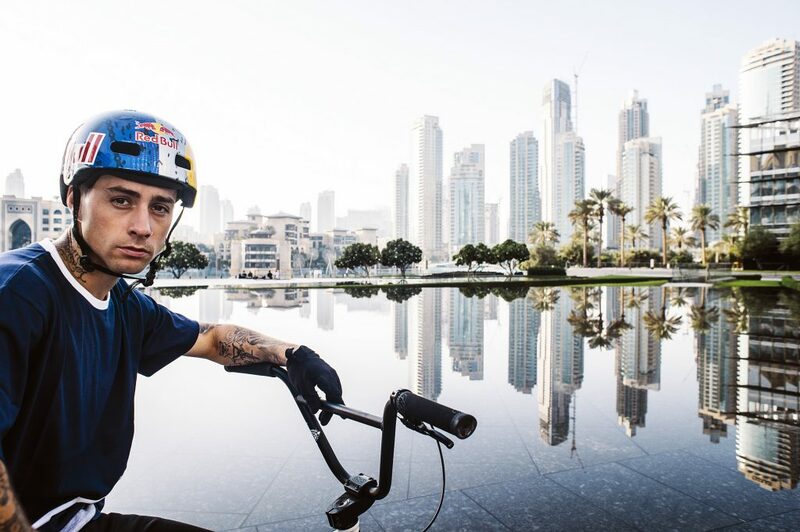 Caliber is a new brand of bikes, so you may not be aware of it. 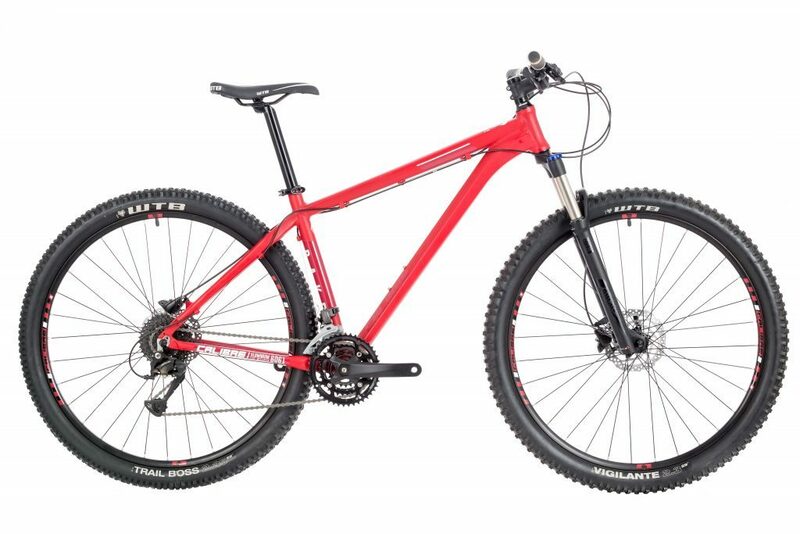 This lightweight mountain bike features sturdy components found in high-end mountain bikes. You may even decide to upgrade some parts so that your child can use it during his adult life. The hydroforming technology enables manufacturing to fine tune the tube shapes to achieve the appropriate stiffness, weight, and strength. Its multi-faceted outline stays shape-shift on the journey from the sculpted dropouts to the seat tube, providing a lot of tire space for messy rides. The head tube’s diameter is increased to prevent the chassis from twisting. Calibre Two.Two only has two frame sizes: 18 inches and 20 inches. For those of shorter stature, you may need to search for other bikes. The bike weighs 13.9 kilos. The Two.Two uses the pukka RockShox XC 28 coil-sprung fork. It has a lockout dial and an adjustable rebound damping. 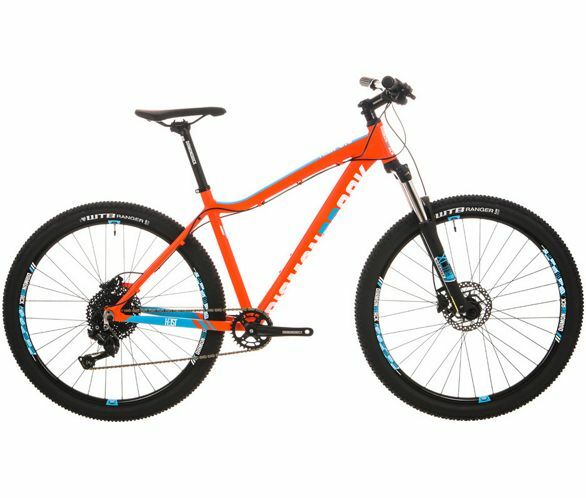 This Calibre bike features the Vigilante 2.3” in front and the Bronson 2.1” in the rear, which is a bit sketchy on wet terrain. It would be best to swap it out for Schwalbe tires. The Shimano hydraulic disc brakes need maintenance like other hydraulic brakes. So, if your kid will use this bike, you need to check on the brakes from time to time. Most users love the Calibre Two.Two, but some complain that the chain breaks a few months after moderate use. The bottom head bearing may need replacement because it is not corrosion-resistant. Water can seep into damage the bearing. In essence, you need to maintain this bike properly if you intend to use this bike in the long term. 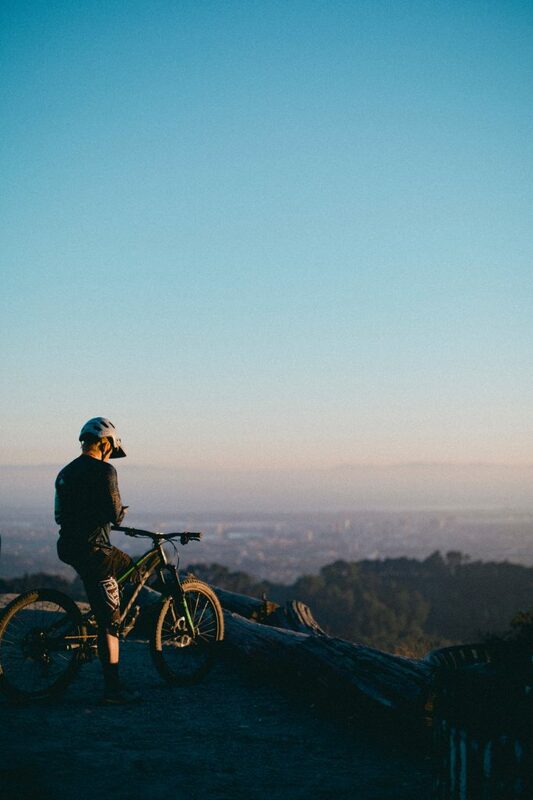 Calibre Rake is an affordable and durable 29-inch mountain bike with lightweight, robust aircraft-grade aluminum. 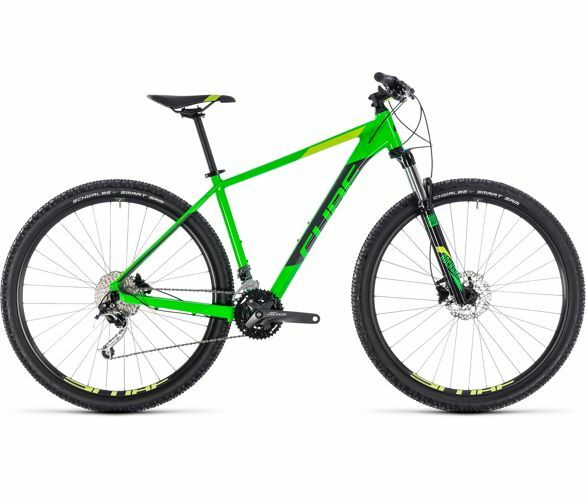 This bike comes in a 6061 hydroformed alloy frame with a 69-degree head angle that’s not slack but fares better compared to 29er bikes in the same price range. Plus, the seat angle is at 74-degree that provides a lot of room for maneuvering downhill. Actually, the 74-degree angle is within the standard range of 70 to 75 degrees. Since your child will not be racing, this angle is perfect as it will not transfer the weight on his hands that can cause aches and pains. Steep angles, which keep hip angle open, are for racers who need more breathing power. The bike weighs 14.74 kilos. 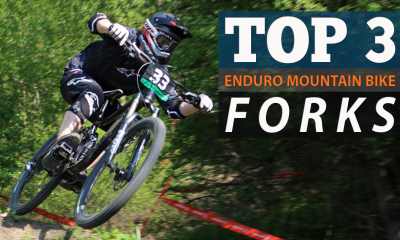 There are limits to upgrade potential on the fork since the head tube isn’t tapered. However, its fork has rebound damping and adjustable preload sensitivity. 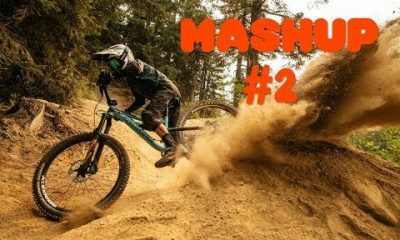 Although the fork’s stanchions can bend and twist if pushed too hard, your kid can still navigate through rocks, roots, and steps with confidence and speed. The front tire is a WTB Vigilante 29 x 2.3” while the rear tire is a WTB Trail Boss 29 x 2.25”. Moreover, the 29in wheels offer a speed-sustaining ride that keeps the bike rolling smoothly over whatever surface. Some users report that the wheels are heavy, so the bike does not roll or accelerate on smooth pavements as well as they would expect. However, the descents prove to be lots of fun because the weight of the wheel contributes to a sense of stability and security. The frame of this bike is made from the 6061 alloy, making the sturdiness of the frame no question, while at the same time being light and easy to manoeuvre. While the large saddle isn’t exactly streamlined the thick cushioning acts as a form of shock absorber. Parents who want to get their child a bike they can grow into will find that this Dawes Blowfish model is a wonderful option. One of the big differences between this bike and the others in this article is that it has a single speed design. This might be a drawback for some, but it means less maintenance and upkeep over time, along with a bike that doesn’t constantly rattle (which is quite refreshing) due to increased tyre volume. 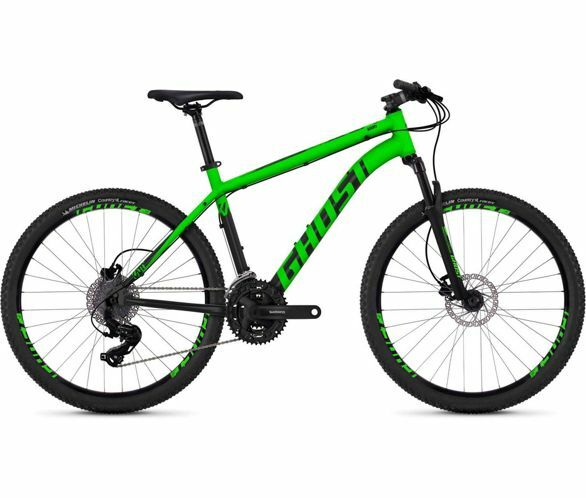 The tyres are high enough volume and thick enough to ride over muddy or uneven terrain without any major issues, the frame and saddle compensate surprisingly well for the lack of a sprung front suspension fork. 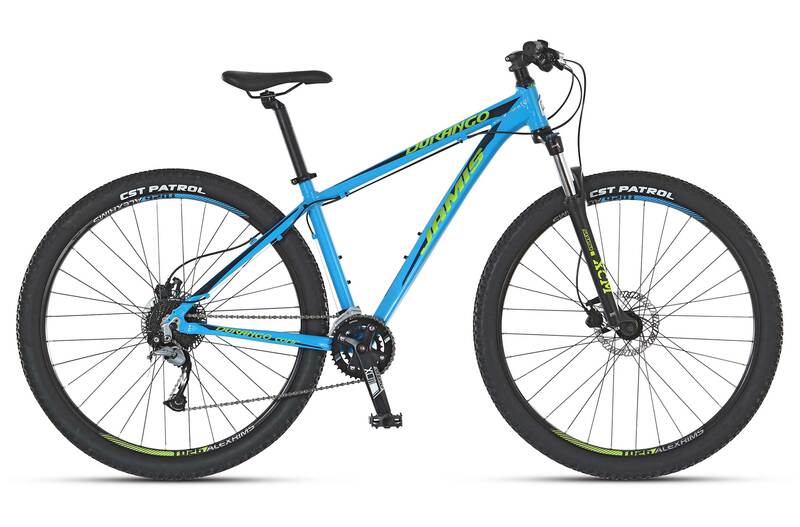 You will find that this bike has mostly positive reviews from parents who are very happy with how solid and dependable it is, with many commenting in the surprisingly light weight.